Arthur is Ron's father and I certainly see the similarities. I love what he stands for as a person and he is such a great role model to all of his many children. You can see the love in his actions, words and views. 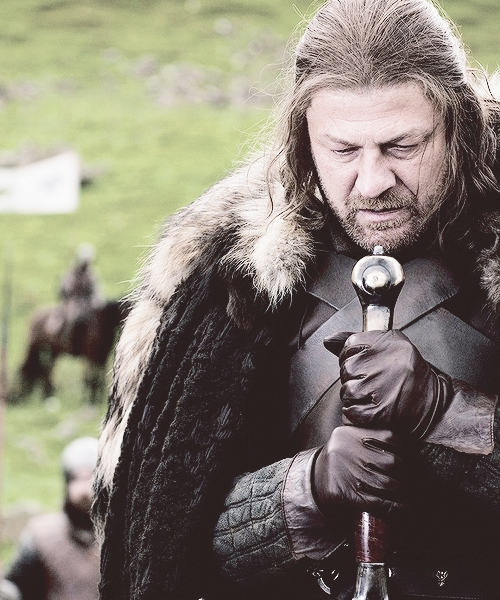 Eddard's character is incredible and his role as a father to the Stark children and to everyone in general is something to admire in itself. He actually reminded me a lot of the way my Dad is with my family (minus a few weird and gross things). You could defiantly tell his love for his family and it was very different from many other families in A Game of Thrones. Ok, Haymitch is awesome and I love him. The contribution and part he plays to Katniss and Peeta was at the same time, loving (in its own little way), amazeballs and just entertaining. I treasured his relationships with everyone because his character isn't just full of wise, crazy words, but he is bonkers and I loved every second of it!